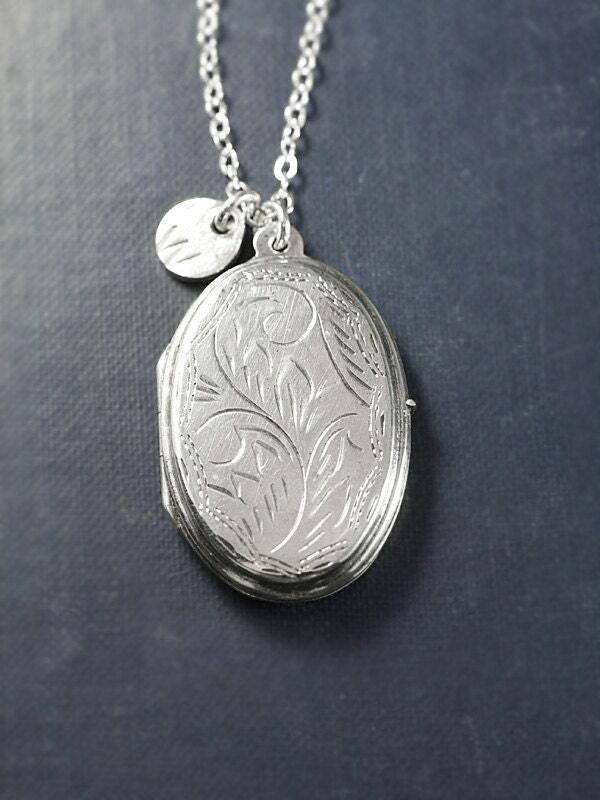 A classic sterling silver oval locket is engraved on both sides with a lovely scrolling leaf or plume like design. 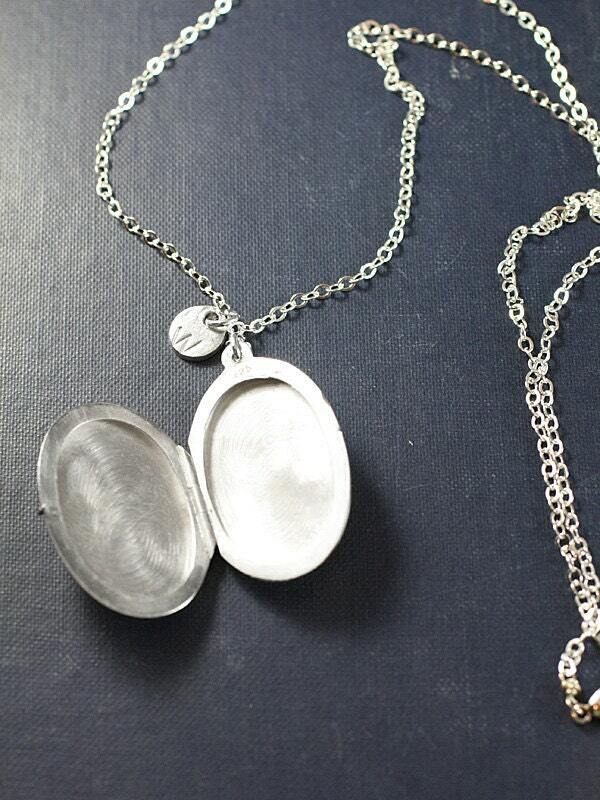 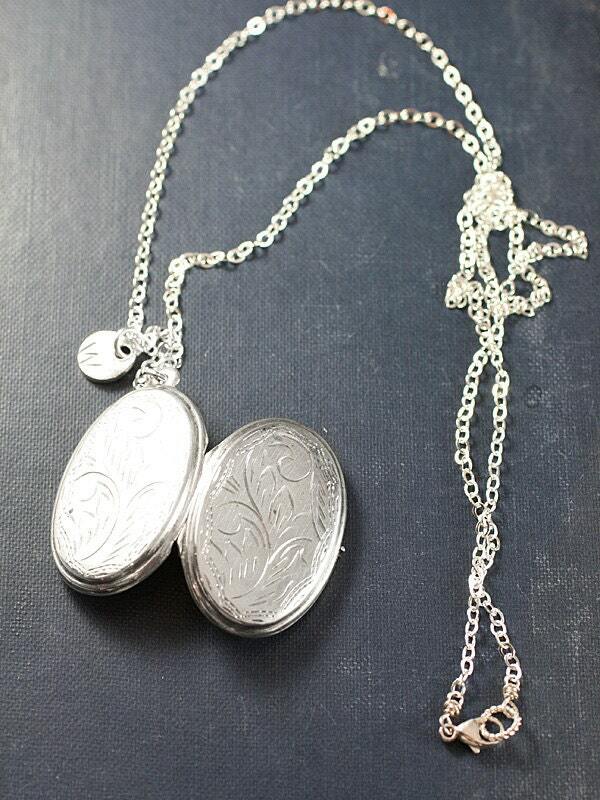 The oval locket pendant opens to reveal two "frames" waiting for beloved photographs to be slipped inside. 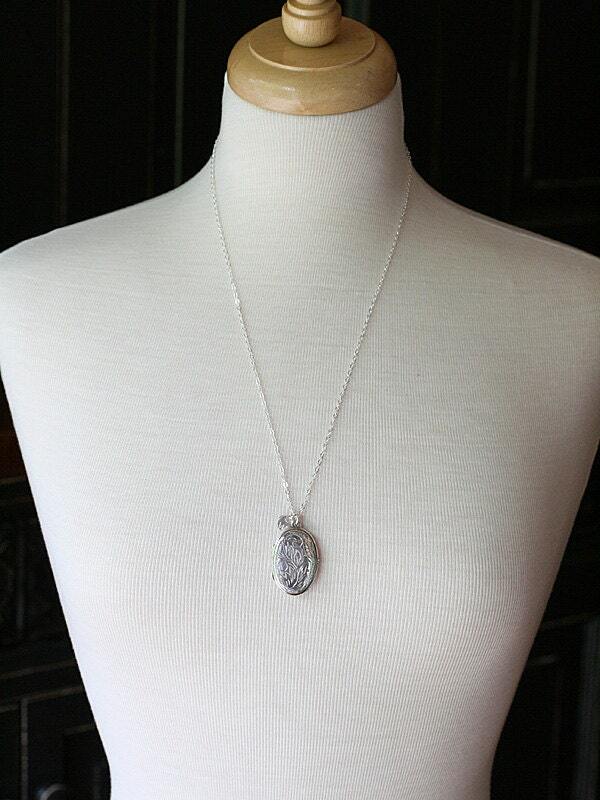 The unique pendant is set on a long chain of sterling silver and is paired with an artisan pure silver charm ready to be hand stamped with the initial or design of your choice. 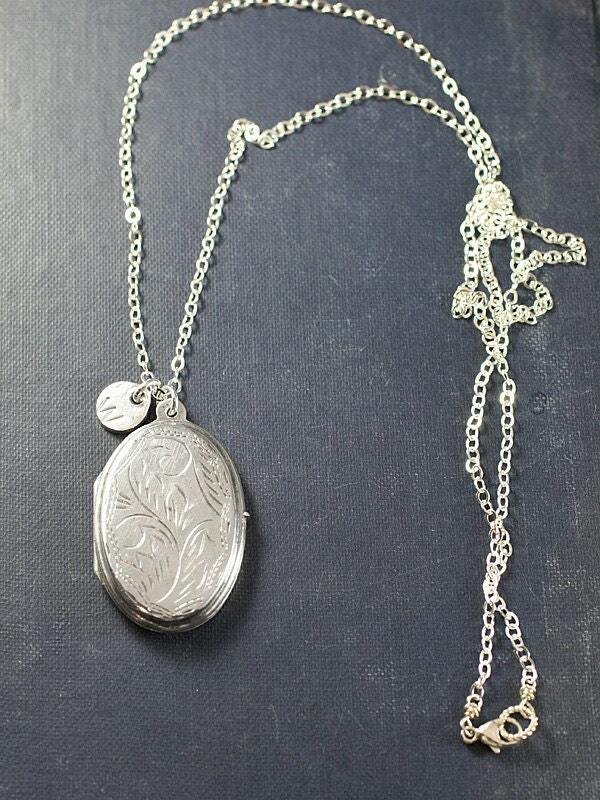 The design is hand finished with a trigger lobster clasp.